I cleaned and lubed my new toy before going to the range. I set the gas block to one stop above the smallest setting. The first 18 rounds were slugs. Every one cycled perfectly. The recoil was stout and point of impact at 30 yards was below the point of aim. Next was some high brass No. 2 goose loads. All functioned perfectly. On to low brass No. 7 1/2 field loads. All 25 functioned perfectly. Next came my trap reloads. 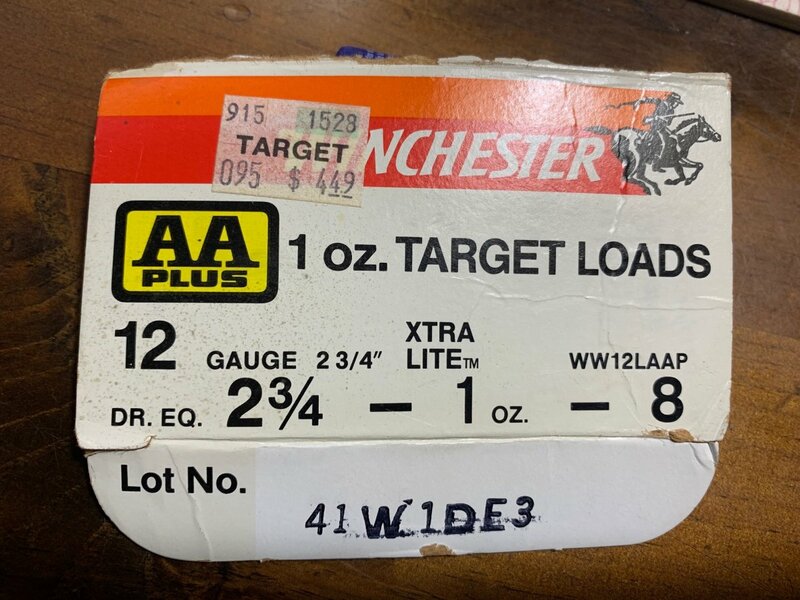 Winchester AA hulls with 11/8 oz. of number 8 shot over red dot powder. They started out pretty well but they were noticeably softer. One round stuck in the ejection port and one failed to feed (a tap on the bolt handle fixed that). I moved the gas block setting up one notch. Problem solved. For the final test I had 50 Winchester AA Plus 1 oz. Target Loads. These were No. 8 shot over a mere 2 3/4 dram equivalents of powder. Winchester calls these powder puffs their "XTRA LITE" WW12LAAP. Each and every one of these rounds functioned perfectly. I couldn't be happier. Tomorrow I will break it down to clean it. I'll report if I find anything unusual. Oh, and I decided to put a red dot on it to see if I can get point-of-aim / point-of-impact aligned for the slugs. Which red dot and how are you mounting it? I'm going with a UTG mount. 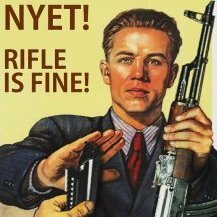 Ten+ years ago I bought a BSA red dot for a Mosin Nagant. I upgraded the red dot with a smaller, newer unit. The old one just sat in a drawer. That's what I'm starting with. It will only be used with slugs. Like the old guy was heard to say, "If she dies, she dies!" I think I might put a Holosun 503 series on it, with the "circle/dot" reticle. The circle approximates the shot spread at 25-30 yards, something like that. 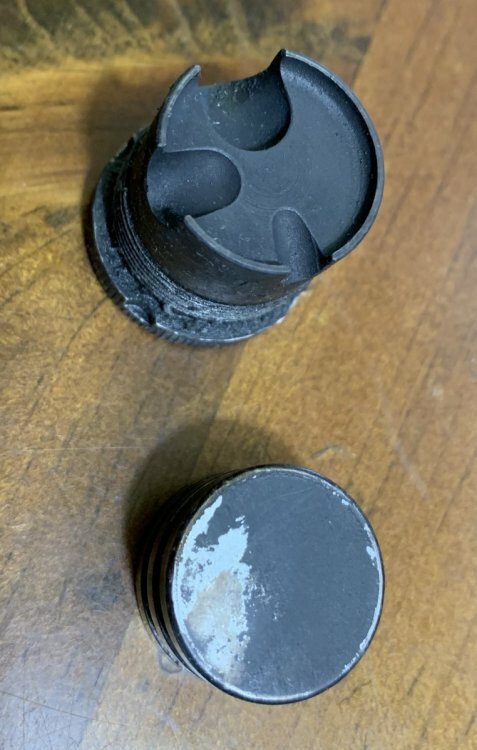 Here's the bolt after 100 rounds. Just bright spots from self induced polishing. Again, Happy camper here. So the four position gas settings are, large, medium, small and NONE. Actually you really only have 3 ports with that plug. The off setting is not truly off. It should tried first with your high power and heaviest of load. The 4th and largest setting isn’t gaining anything over the 3rd setting. The 3rd setting is way larger than the ports in the barrel can feed as it is. Just having that huge 4th port there actually hurts the efficiency of low brass regardless of on the 3rd of 4th setting because it adds a chunk of chamber volume to fill with gas. It would be a better plug if it wasn’t even there or welded up. The number 2 setting is good for a lot of high brass but still a little too much gas for some rounds that won’t operate off the 1 setting. 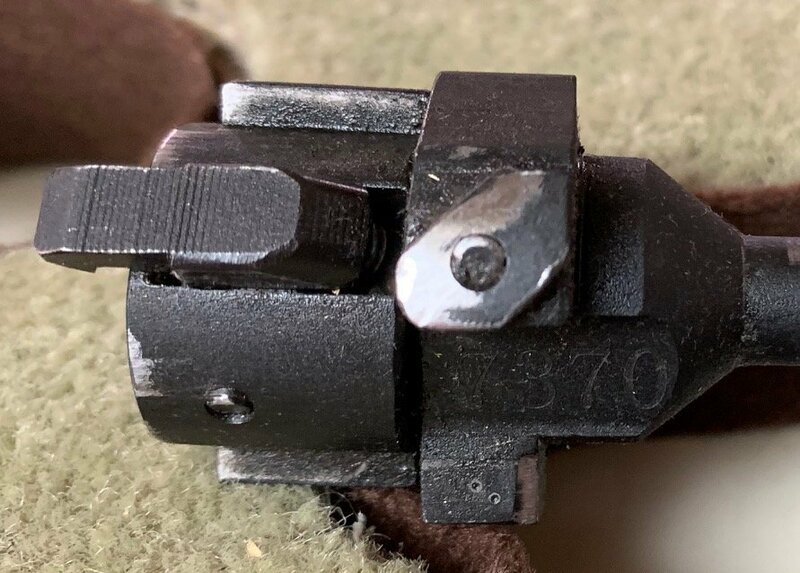 If you add an extra detent with a mill, drill press or dremel just off the detent that the 2nd setting uses you can slightly turn past it and close it off a little and make an extra setting for that ammo. If you do the detent should basically meet the edge of the 2nd settings detent. It would be a better plug if it wasn’t even there or welded up. I'm going to call SDS and see if I can buy an additional plug. I've got a small wire welder that should be able to close up the big chamber. I got the lightest loads to reliably function on the third setting so I don't think I'd ever need the forth. I'll report back. I don’t think they sell them as spares. Yeah, the 4th setting can’t let in anymore gas than the 3rd setting can so nothing to gain by using the 4th. You can get a touch of extra efficiency if you weld up the 4th setting to decrease chamber volume. Just clean up the outer diameter good or stand off from it a touch. You should notice that it ejects the low brass with a touch more force after that. Everyone see those 2 pits on the bolt lug? That’s where they tested the hardness of this bolt. I’m willing to bet these aren’t anywhere on those TriStar guns or other Chinese or Turkish clones... Why would they bother when they know they don’t care anyways, lol. Everyone see those 2 pits on the bolt lug? That’s where they tested the hardness of this bolt. So I'm thinking that means my handsome face won't become even more rugged thanks to an exploding bolt. Luckily I ride a motorcycle so there's still a chance I can up my craggy good looks. Lol! Hopefully that’s what it means! Always use eye protection!